What a strange time we live in. I know I'm having a peaceful moment when I can actually find the time to read the paper. And, I recently came across an article that I literally had to read twice because I couldn't believe my eyes. Researchers at Johns Hopkins University are developing scientific technology that could potentially replace the use of animals in much drug testing. From human stem cells, they have grown "mini-brains": tiny balls of neurons that, to a degree, mimic the workings of the human brain. Thomas Hartung, the project leader, explains that "you can often get much better information from these balls of cells than from [testing on] rodents." And, what's more: they can use cells from people who have Parkinson's disease, Alzheimer's disease, autism, or other genetic diseases or traits to make specific mini-brains to aid in drug research and development. The researchers plan to standardize and mass-produce these mini-brains, with hundreds of identical specimens in each batch (and, later, the more customized versions), to be available this coming fall. With these breakthroughs, Hartung believes that "nobody should have an excuse to still use the old animal models." Wow! All these years, thinking there has to be a better way than forcing helpless dogs, pigs, primates, rodents, and other animals to endure torturous testing, still knowing that the first human trial is a massive risk. Perhaps we are on the cusp of a genuine breakthrough that would do away with animal testing forever. 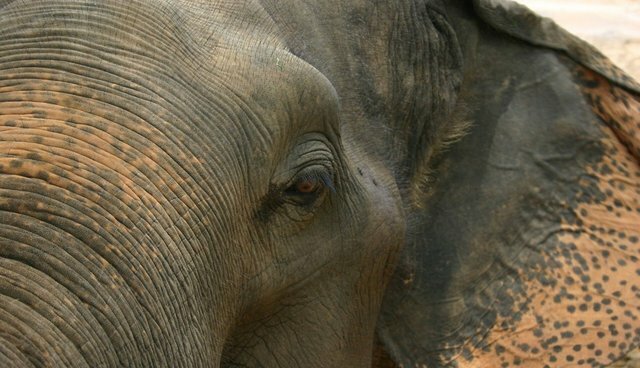 I thought we were really getting somewhere when Ringling Bros. and Barnum & Bailey Circus announced that it would retire all of its elephants from performances and send them to the Center for Elephant Conservation: a Florida facility owned by the circus' parent company, Feld Entertainment. Rather than being granted a peaceful retirement, though, these elephants will have their blood drawn for use in cancer research. No. Just no! After being pushed to do unnatural tricks in a loud, stressful, captive environment, haven't these elephants suffered enough? Surely, these elephants deserve a genuine retirement, free from human interference (unless it's for the welfare of an individual elephant). Scientists are moving away from animal models, while others are adding elephants to the roster of unwitting test subjects. In many ways, society is becoming more attuned to the welfare of animals. We're developing groundbreaking alternatives to animal testing; crucial legislation is being passed to protect animals around the country; and, a growing number of involved, highly aware, compassionate people are actively working to end animal suffering. With an unprecedented level of public support for animal advocacy, it often seems that we're on the precipice of a major cultural shift-one that will finally consider the needs of nonhuman beings. The research conducted by the forward-thinking team at Johns Hopkins University gives me hope that our future can be centered on compassion. It doesn't take more than a mini-brain to see that we have a brighter future when we first do no harm.